congratulations on a great addition to what seems an awesome book. It is an awesome book, Iris, and I hope you enjoy it. Please contact me so that I can make sure you receive and enjoy your book. Thanks to everyone for your kind words about my Origami Garden quilt. I hope to have some more completed quilts to share with you soon. Today I am excited to share that I am one of the 15 designers whose quilts will comprise the upcoming book Scraps Inc. Vol. 2, an upcoming title by Lucky Spool! You may be familiar with the Scraps Inc. books because the first volume was such a success. Well, volume 2 is now available with 15 all-new original quilt project that are perfect for busting your fabric stash, and at the end of this post I'll share both how you could win a free copy of the book as well as how to receive a discount when purchasing it. First, let me tell you about my quilt. 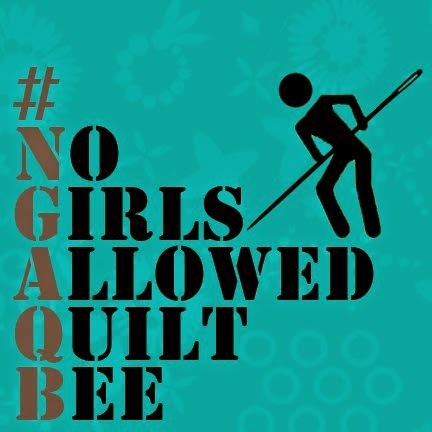 I went about creating this quilt in a very different way from normal for me. Usually, I start with a pattern or quilt design, then pick or purchase fabric to match it. 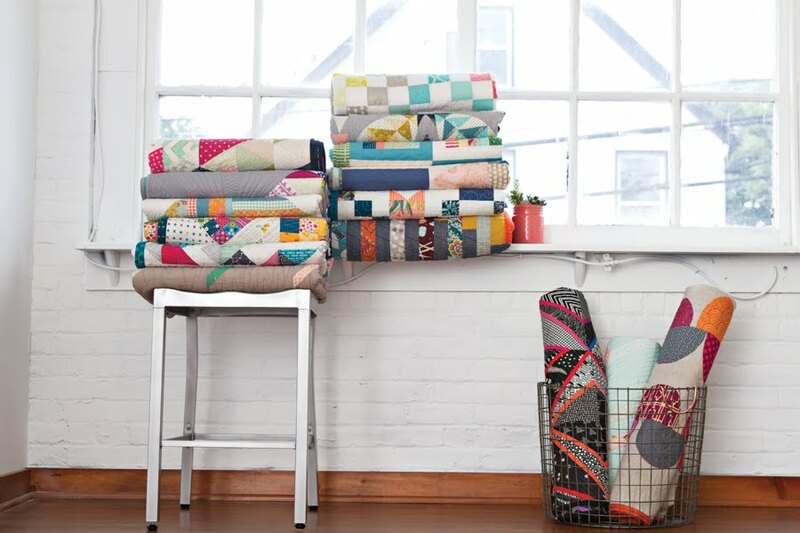 Or, I start with a stack or a collection of fabric and then select or design a pattern to showcase them. For Origami Garden, I started with a color scheme. Nothing more. I loved the combination of deep plum, teal, magenta, and charcoal gray, and realized that I had a lot of scraps in these colors left over from other projects. With a pile of scraps in hand, I set about designing a small block that didn't require any large swaths of fabric and could be made with decent-sized scraps. 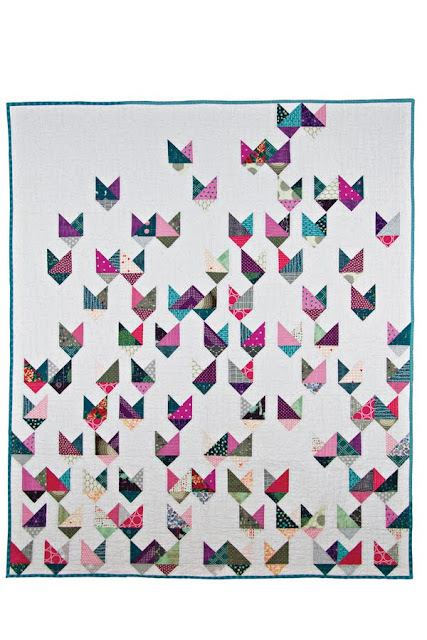 I landed on a combination of a basic flying geese unit and a slight variation of a half-square triangle -- both approachable techniques for a beginner quilter -- and arranged them in such a way that the color placement, to me, resembled a folded paper flower. A tulip, to be more precise. The blocks are laid out in a basic row and column format, but the varied arrangement and use of negative space (via blocks of just the background print) helps to 'scatter' the flowers across the quilt top. Hence, Origami Garden! I am extremely pleased with how it turned out. 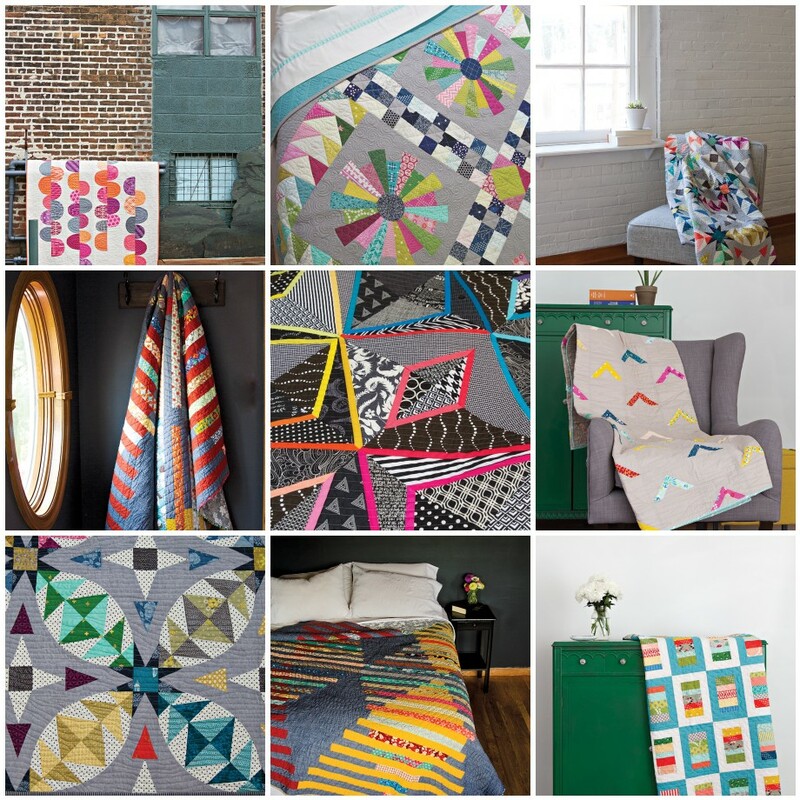 The other quilts in the book are equally impressive. When I first saw the list of contributors, I knew I had to bring my A-game. And everyone really stepped it up for this book. All of the designers are participating on this blog tour, so to see who else has quilts featured in the book and links to their blogs, simply scroll to the bottom of this post. I've included the full list. 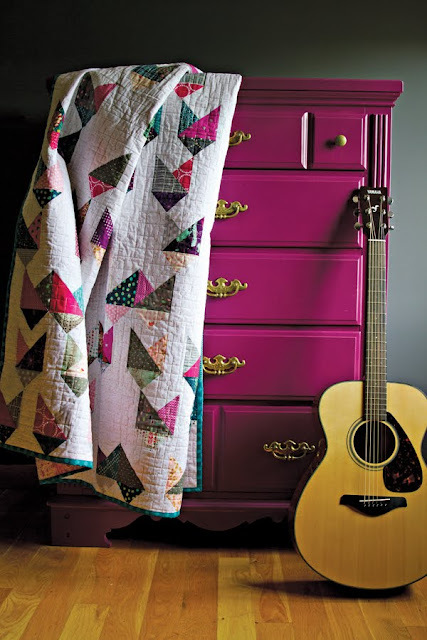 One of the most exciting things about this book is that it was photographed by fellow quilter and featured designer Nydia Kehnle, and her vibrant photography makes each and every quilt jump off the page. The book is eye candy, pure and simple. 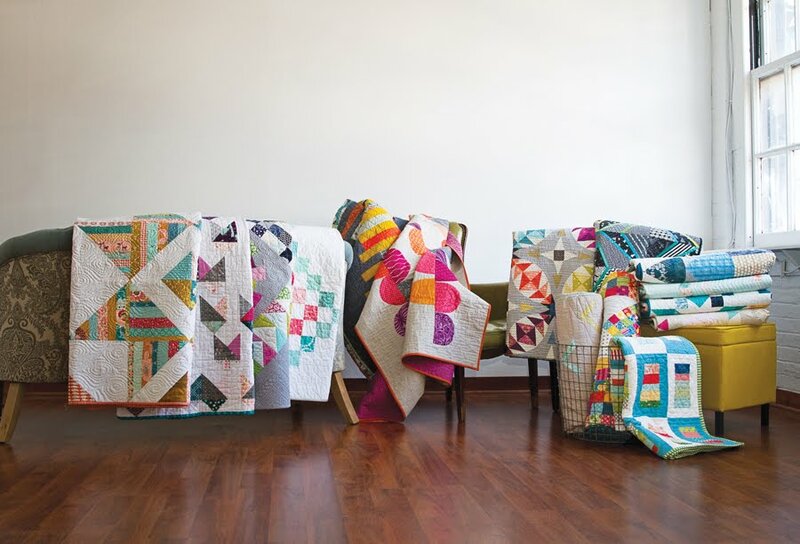 So even if you're not a big scrap sewer (and, by the way, each and every one of these quilts would look great in a more planned, purchased-fabric way as well), the photography alone will provide heaps of color and pattern inspiration. The wait is over. 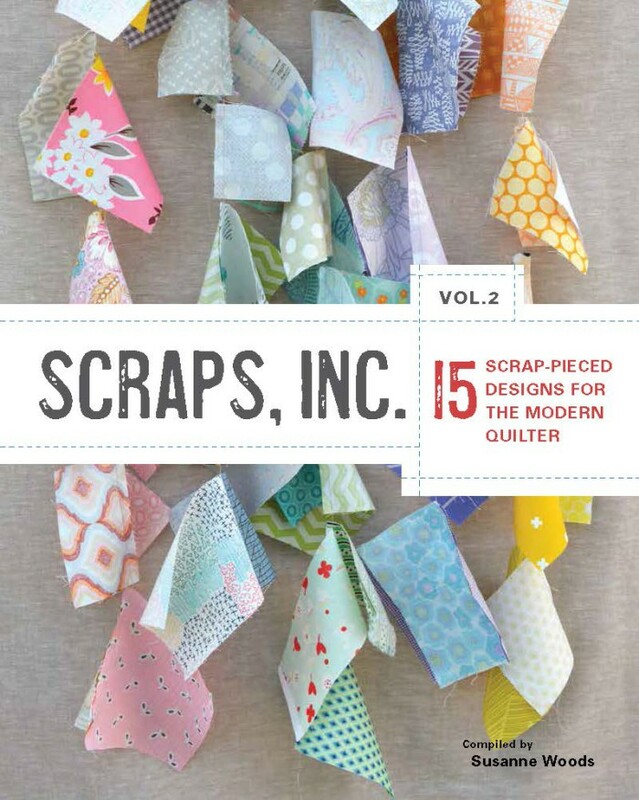 Introducing Volume 2 of the best-selling Scraps, Inc series. 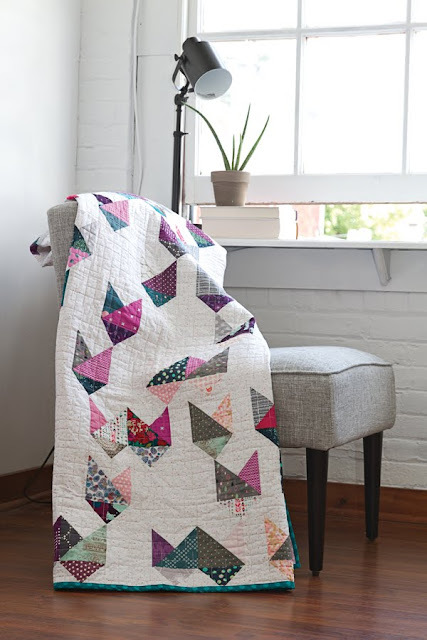 Create 15 stunning scrappy quilts using a variety of techniques, from curves, to triangles and from strips to squares. Carefully collected and constructed based on a common mood board of trendy, soft, spring-time blues, creams, pinks (and even metallics! 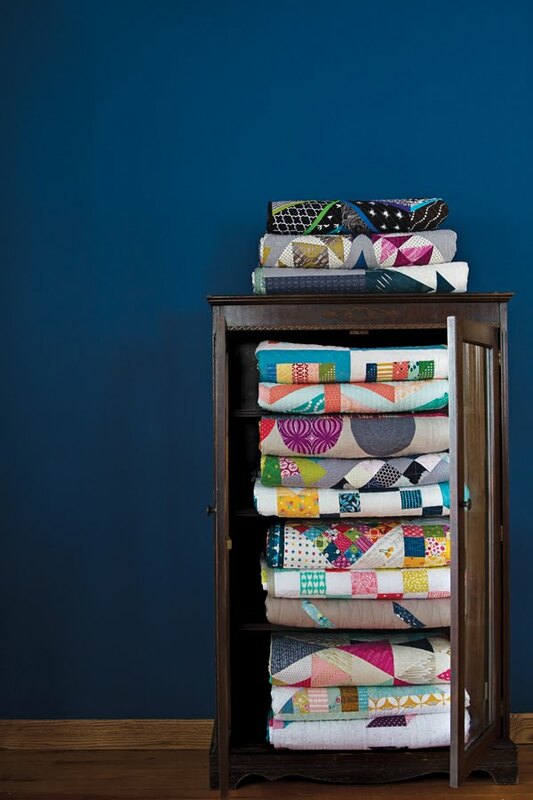 ), each of the 15 contributors has created a design that focuses on using those impulse-purchased fat quarters or all of the beloved scraps you have left over from sewing previous quilts. 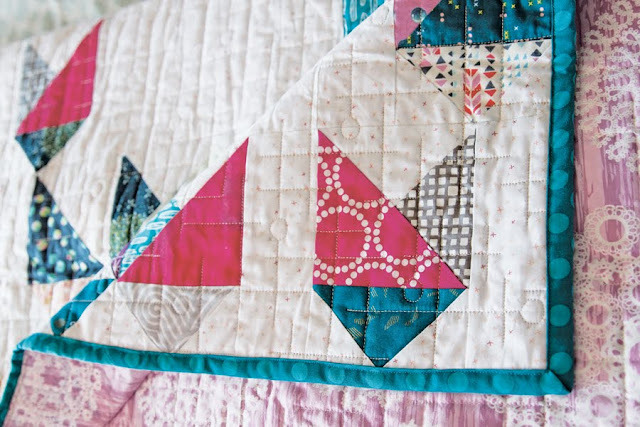 Each will stretch your creative skills whether you like quilts with a minimalist feel or with a plethora of piecing, there is a pattern sure to please in this book. You might decide to sew them all! Are you interested in winning a free copy? I have one copy of the book to give away and, to have a chance to win it, all you have to do is leave a comment on this post telling me something about scrap sewing: either a tip, a favorite project, an unexpected fabric combination that you discovered ... anything. I'll randomly pick one comment as the winner and announce it on Monday, February 15th … that way you can still take advantage of the purchase discount (see below) if you are not the lucky winner. In case you're not one of the lucky winners, readers of the blog tour are eligible for a 30% discount when purchasing the book. This is only a limited time offer, though. Use this link to order the book directly from the Taunton site, and use the code Scraps30 to get your 30% discount. The discount is good only through Tuesday, February 16th at midnight, no matter what your time zone. That way, you have time to visit all the stops on the blog hop before you buy. As for my Origami Garden quilt, it has already gone to live with a good friend across the globe in Christchurch, New Zealand. 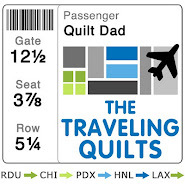 Deb, I hope you're enjoying the quilt and that it's providing a little bit of a reminder of your adventure through the United States. Good luck & happy quilting!